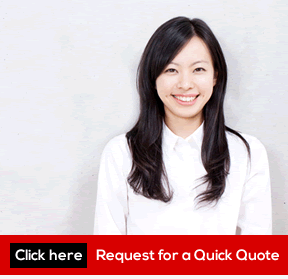 Translation Service HK provide the best translation and transcription in Hong Kong. We offer the most competitive prices and the highest standard of care. We pride ourselves in our service and are confident in our professional transcribers. All of our professional transcribers are highly skilled, detailed and methodical. We promise all documents you trust with us will receive the highest transcription quality. 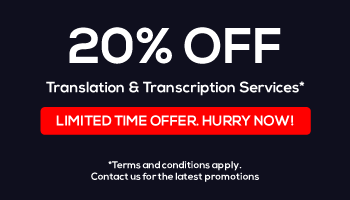 We are the first choice for your transcription requirements, whether it’s Chinese transcription services or any other transcription services in Hong Kong. With highly qualified transcribers, we can take on any format of audio or video. Transcribing into many languages with expert care and skill, you will always be satisfied. Transcription Service HK provide a variety of transcription services. We offer Chinese transcription service, legal or medical transcription, and much more. If you have audio or video footage that you need in print, trust us to get it done. If the service you are looking for is not on this list, please send us an email. This list is not exhaustive, so depending on your needs, we may be able to help you. Any queries will gladly be looked at by our team and will be replied to as soon as possible. How Do Our Transcription Services work? We have many professional transcribers available at all times and all are highly trained. This means that depending on your need, we have the perfect match. We can transcribe a range of video or audio file formats into print and our team will perform this translation service with your business in mind. Whatever your transcribing needs, we will see that they are met. There are many ways to get the process started, making it as easy as possible for you. If you want a simple transcription, please take a look at our upfront rates. You can upload your file to our website, or you can send the files to us via email. If you need any of the aforementioned transcription services, just send us a message. In the message, please determine your chosen transcription service and how long the audio or video file is. If you are working towards a deadline, please tell us so the finished product is ready in time. If you would like to provide any extra information, please include this in your brief. This includes confidentiality or any specific requirements that you would like to be met. If you would prefer not to use email, please contact our team over the phone or through our website. With them, you can discuss your query in detail and refine what you want from our services. We are committed to providing you and your staff with the best quality of service. All of our transcribers must pass rigorous tests and training. This determines their suitability considering the high level of service that we provide. Considering this, you know that you can feel assured when trusting us with your data. It will not only be completed within the time frame of your choice, but it will also be done to the highest degree of precision, thanks to our team of proofreaders. We also have a team of multilingual expert translators. With them, your demands will be met with the same high level of care and consideration. – ACT, APE, MPC, SHN, SPX. If your audio file is not listed, simply contact us and we will find another way to open it. Your privacy is incredibly important to us. It is, therefore, essential for your transcription material to remain confidential. Ensuring your privacy can be done in a variety of ways. This gives you control over your terms, and peace of mind with your information. We can offer non-disclosure agreements, data encryption and other means to make the exchange even more secure. Why Choose Translation Services Hong Kong? We’re the best translation and transcription service in Hong Kong. We offer the highest standard of transcription for the most affordable prices. All of our transcribers are expertly trained and value your success above all. We provide transcription for all your needs including legal, investigative and educational requirements. We carry out our services quickly, professionally, precisely and to the deadline. If you need or want any more information, please contact us today. For a quote, please send us an email or give us a call.